Jermaine Dupri has given G-Eazy, A$AP Rocky and Cardi B's collaborative track "No Restriction" the ultimate compliment. The Grammy Award-winning producer decided to show love to the song and its original creators by way of giving it the remix treatment. "I f—k with this song heavy in the clubs, so I decided to add a verse lol," the Atlanta artist posted on SoundCloud. "I'm just getting started," he raps on his remixed version. "Oh yeah, I got it, b—h / How'd I make more millionaires than the lotto did?" Dupri, who hasn't released an official solo album since 2001's Instructions, has recently been in the studio, with the likes of Usher, Mariah Carey and Da Brat all stopping by to collaborate. With his latest remix helping ignite the creative fire inside him, fans are hopeful it's a sign more new music is on the way. 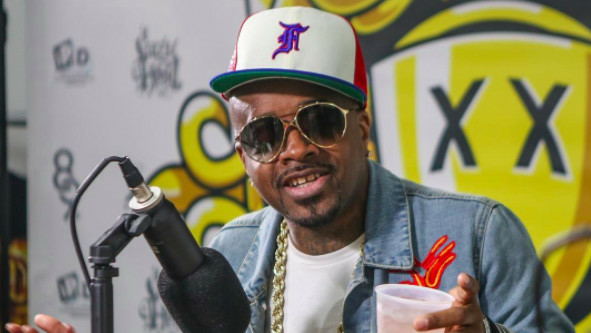 Listen to Jermaine Dupri's remix below.